There is staggering amount of unclaimed wealth is wasting out there in India. Unclaimed dividend alone runs into 1000s of crores of rupees. Translated, actual value of shares not available as disposable wealth to the rightful owners may well be over Rs.30,000 Crores! This is not all. Add Insurance, Fixed Deposits and Mutual funds. The figure you might arrive at is truly mind boggling. We at Golden Egg, an initiative of SMB Enablers Private Limited, Chennai, are determined to reach this unutilised or lost wealth to the rightful owners. Why has it happened in the first place? Companies need to be notified of changes. In the world of Demat Accounts with nomination it is automatic. In the world of paper shares there are scores of reasons why shares fall out of horizon. Unable to cope with the complexity involved in transfer and transmission of share. Dividends are declared year after year. 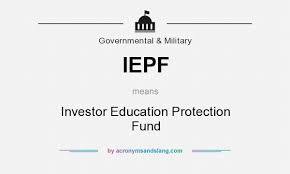 At the end of seven years the companies transfer the dividend to Investors Education and Protection Fund (IEPF) maintained by Ministry of Company Affairs, Government of India. Last seven years dividends still lie with the companies in a separate account. It is an ordeal to receive the dues from the companies for a common man. Things have just got worse. IEPF Amendment Rules 2017 has made transfer of shares to IEPF mandatory if dividends were not claimed for seven years. In other words, before you know it, your shares will belong to the Government and Dividend, Bonus and Splits on your share with obviously accrue to the Government. Now, one has to deal with two agencies – IEPF and Company. Already complicated procedure has complicated further. Now is the time to act. May be, you need a professional agency. 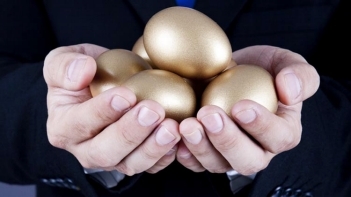 May be, you need the “Golden Egg – Harnessing Forgotten Wealth” by SMB Enablers. So, what do you offer? Of the joint holders if one is dead, deleting the name of the diseased and including name of legal heir. Legal assistance if the shares are in the custody of Government due to some extraneous situations such as securities scam. We strive to achieve all these whether you have physical shares or not. 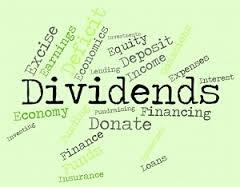 We have an ever-growing database of unclaimed dividends and dividends transferred to IEPF. We then go about finding the shareholder or his/her legal heirs and inform them that they may be holding shares and we would be happy to retrieve the shares for them. We will then assess the work involved give a quote and go about executing the job after researching total share holdings and collecting necessary documents. We cover the whole nine yards dealing with Government, Company and Courts to help you recover the shares. Depending on value, complication of the case and availability or non availability of physical shares, we charge a success fee of 10-30% plus service tax. We charge the fee on both dividend and value of shares retrieved. This is a pure success fee and nothing upfront. Well, not really. We charge a token retainer fee of Rs.1000 plus service tax or GST. However, there are a few expenses that will have to be met by the client upfront. If physical shares are not available, FIR needs to be obtained. This is a client responsibility. We will do the job and chare the client at actuals. Generally, in case of transmission of shares when the original owner is not alive, probate of will or succession certificate from District Court of jurisdiction is necessary. This involves fees for legal counsel and court fees. This will have to be paid by client. There are cases when surety of one or two individuals for the value of shares are needed. It will be client’s responsibility to provide the same.